Depression Therapy in Ottawa, ON: Counseling for bipolar, postpartum depression, SAD, and mood disorders. Depression Counselling in Ottawa, ON. Leading therapy for major depression, bipolar, postpartum depression, SAD and mood disorders in Ottawa, Ontario. I will provide a caring, respectful, and compassionate space for you, free of judgment. I will work with you to help you deal with your most distressing thoughts, emotional reactions, behaviours and relationship issues associated with your depression. We will explore your thoughts and feelings about yourself, others and the world around you and address internal self-criticism and establish self-acceptance and self-compassion. I will help you develop a more positive sense of yourself and others, and learn how to live authentically according to your your most important needs, principles and values. Going through the depths of depression with a therapist at your side eases and shortens the journey significantly. I will be with you throughout the process of recovery, and along the way I will help you to identify your needs and to determine how to meet those needs. Thinking clearly when depressed is a huge challenge, I can help you to sort out your thoughts and focus on what you can do next for your healing. Helping clients understand what depression is and ensuring that they are aware of what the various treatment options that are available to them (i.e therapy, traditional medicine, naturopathic medicine, etc). Helping clients determine what is at the root of it all and finding strategies that work for them to cope with the emotional roller coaster and other symptoms associated with depression. Normalizing client's experience and determining a treatment plan that aligns with the client's goals for therapy. The role of therapy in treating clinical depression is to help the person develop good coping strategies for dealing with everyday stressors. Many studies support the idea that therapy can be a powerful treatment for depression. A review published in the Archives of General Psychiatry, for example, concluded that therapy combined with antidepressants worked better than depression medicine alone. Although there are fewer studies of therapy for treatment-resistant depression specifically, many experts still recommend it. One 2007 study found that for people who didn't respond to a specific drug treatment, cognitive behavioral therapy worked as well in reducing symptoms. I believe that depression is one of the most common mental health issues and I always tell my clients how it is normal to experience emotions like heavy sadness. I will work with you to find the root causes of the depression. We will work to better understand your triggers and how those link to the types of thoughts you are getting. From there we can plan new responses to the thoughts that are the result of a collaborative effort to ensure the new responses will work for you specifically! Sometimes, over the years, we accumulate painful experiences that leave our bodies and minds broken. These experiences can send us into darkness and into a deep solitude. Depression may be caused by different factors and can happen to anyone! The good news is that there are strategies to help us understand the causes of depression and to learn how to manage the symptoms of depression. I will help you explore the causes of your depressed mood, and to walk through ways that can help you to deal with it. Clients will better understand boundaries: how they affect us personally and how not having boundaries contributes to relationship confusion, despair and the general lack of ease of authentic living. Co-morbid with depression is usually some form of a sense of inadequacy or lack of control in one's life - so understanding how personal power and self-esteem fit with good boundaries is helpful to alleviating someone's depression. Depression has different impacts on different individuals. Because of this, treatment plans specific to depression are especially unique. When I work with clients with depression, I ensure that the root of the depressive mood is explored, the current aspects in the client's life that is maintaining the depression is targeted, and that client-specific interventions and strategies are put into place. Depression has various aspects to it and it is only in exploring each of these aspects that treatment can be thorough and effective. Are you or someone you love suffering from depression? Are you worried that you are stuck? Are you exhausted and feeling debilitated from struggling so long with depression? Not sure what to do? wondering if the medication alone is really working? While medication is helpful and may be necessary in some situations, you still need to discover the root of your depression. Talk therapy helps you discover the underlying causes of your depression, and learn ways to overcome your depression and regain control over your life. Don’t let depression keep you or your loved one trapped in a dark gloom. Call us today at 613 287 3799 and learn how therapy can help you overcome your depression. Depression can leave us feeling hopeless and unable to function all that well not to mention the isolation resulting. The key is to then recognize those automatic thoughts emerging and how they may be serving to influence our mood at any given moment. If we have a tendency to generally catastrophize and only see a situation from a worst case scenario, it will serve to leave us feeling bad. The key is learning to effectively examine those triggers and subsequently how can we best challenge the reasoning behind. It comes down to being proactive about our mental health and not willingly accept a negative outlook when there may be another far more healthier perspective or a lens to see from. I have found the Cognitive/Behavioural model of therapy the most efficient one to use with clients suffering from long term depression. Acute depression responds well to Relational, Ego-State and Attachment based models of therapy. Most important however, is a warm, empathic, supportive environment in which to explore and resolve the client's needs and instil Hope. You Have Found The Best Therapists for Depression and Mood Issues in Ottawa, ON. Are you ready to experience new freedom? 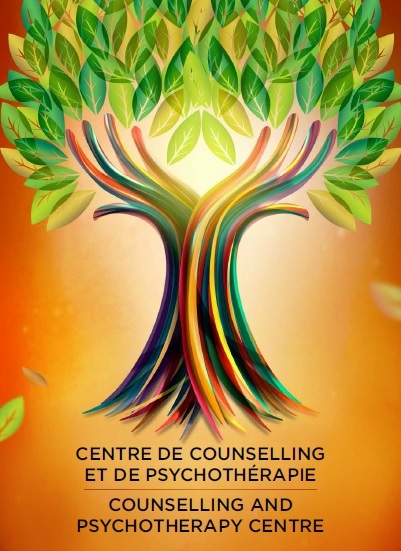 Thank you for visiting our Ontario search of licensed therapists in Ottawa who specialize in helping people overcome sadness, treat major depression and mood disorders such as bipolar, postpartum depression, and seasonal affective disorder (SAD). Feeling down, lonely, and depressed can affect us at any station in life. Sometimes the cause may be physiological (such as hormonal or due to medication), it may be emotional, environmental, psychological or any combination of the above. Counselling for recovery and restoration from depression by a top rated therapist in Ottawa will help you climb back up and start living your dreams again.